It was our pleasure to interview Michele (’78) and Owen (’78) Rankin for our Laker in the Spotlight Series. 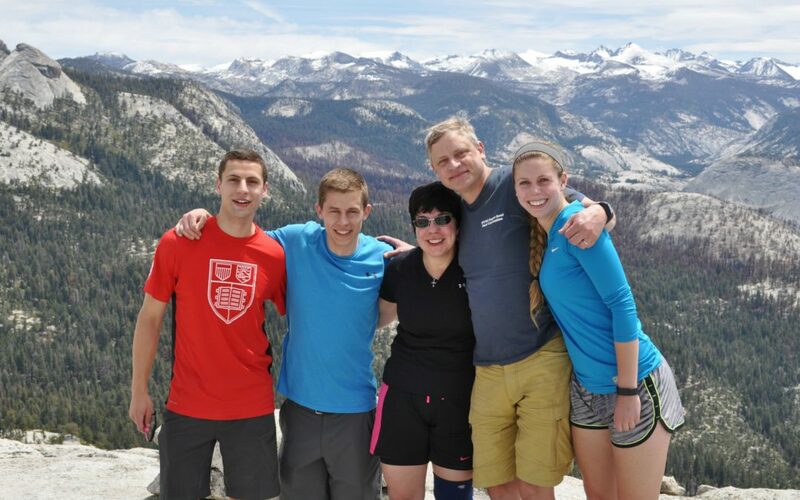 Michele and Owen live in Boonton Township and have three adult children; Kevin (’09), Mark (’11) and Zoe (’13). We interviewed Michele and Owen about their professional experience, community involvement, and what the Mountain Lakes High School Community means to them. Michele Rankin (maiden name Ranieri) has an extensive professional background that includes serving as a Vice President at American Express in London and New York, working in roles such as customer acquisition and retention, quality, re-engineering and systems development. She has also served as a Vice President with the NY/NJ Super Bowl Host Committee. Michele has been very involved with her community, serving on the Boonton Township Committee for eight years, including two terms as Mayor, serving as President of the Lakers Sports Club for three years, and President of the MLBTB Soccer Club for three years. Owen Rankin also has an impressive professional and community background. Owen currently serves as President of Over the Horizon Strategies, LLC, a corporate strategy and reputation management consulting firm that he founded in 2013. Prior to founding Over the Horizon Strategies, Owen served in leadership roles in several large corporations including Edelman Public Relations, Johnson & Johnson, and Tambrands Incorporated. Owen has also been active in his community, serving as a Board Member of Saint Clare’s Health System. MLAA: How long have you lived in Mountain Lakes/Boonton Township? OR: Over 20 years now. We both grew up in Mountain Lakes but then moved away as adults. We moved to Boonton Township in 1997. MLAA: When did you attend Mountain Lakes High School? MR: We were in the same class at MLHS from 1974 to 1978. Both of our families moved to Mtn Lakes when we were in 6th grade. I sat in front of Owen in homeroom! MLAA: What made you decide to settle in Boonton Township to raise your family? OR: We had been living in Kinnelon for a year and stumbled upon the house we ended up buying in Boonton Township. We were attracted to the open spaces in Boonton Township. MLAA: What was your favorite part about returning to Mountain Lakes/Boonton Township? MR: The towns are so beautiful, with so many trees and lakes. We have spent so many hours at the RVA Fields it feels like home away from home. MLAA: What were some of your greatest memories from Mountain Lakes High School? MR: Being a part of the sports teams are my favorite memories – soccer for all four years, track for two. I also made lifelong friends, one of whom I married! MLAA: Were you a part of any sports teams or clubs? MR: Yes. JV soccer my freshman year, and Varsity for the next three. I was a goalie. I also ran track. I forgot about this until recently, but girls were not allowed on the track team at that time. With two other 8th grade girls, we petitioned the Board of Ed to allow us to join the track team when we entered high school. They did! MLAA: After MLHS, you earned a B.S. in marketing from the University of Dayton. How was your experience in Dayton, Ohio? MR: I missed the East Coast. MLAA: Following the University of Dayton, you earned an MBA in Finance from NYU Stern. How was your experience there? MR: I enjoyed my time at NYU. I was a Teaching Assistant which really helped me manage the cost. MLAA: Would you encourage recent college graduates seeking to gain professional experience and connections to pursue an MBA program? MR: Yes, but only after they have worked for at least 3 years. You will get much more out of the MBA if you have some real-world experience first. I see this first-hand now that I am a Career Coach and Advisor at the Columbia Business School. MLAA: You have a diverse professional background working in financial services in marketing and operational roles. What have been some of your favorite professional activities? MR: I love solving problems and creating things. My two favorite jobs, other than the one I have now, are VP of Charge Card at American Express, where I led teams focused on keeping American Express Cardmembers engaged and using their cards, and VP of the Volunteer program at the Super Bowl, where I created and ran the volunteer program involving 8000 volunteers in the week leading up to the 2014 Super Bowl. MLAA: Did you enjoy living in London for three years? MR: Yes, it was a fabulous experience. London is a wonderful city and it was a lot of fun to be able to travel so easily in Europe. It was also fun to work in another country and see how they view Americans. MLAA: After all your hard work as Vice President of the NY/NJ Super Bowl Host Committee from 2012-May 2014, did you attend the game? MR: Yes, our whole family attended the 2014 game at MetLife Stadium and I even went to the 2013 Super Bowl in New Orleans to see how they did things. MLAA: You have served on the Boonton Township Committee since 2010, serving as Mayor from 2011-2012. What encouraged you to become involved in local politics? MR: A friend of mine who was serving on the Committee suggested it to me. I had never considered entering politics before, but I have loved it. It is very gratifying to be able to give back to such a wonderful town. MLAA: What is your favorite part about serving on the Township Committee? MR: I really enjoy working with the rest of the Committee and with Barbara Shepard, the Township Administrator, and all the other township employees. They are all a very dedicated group. MLAA: What has been your greatest challenge serving on the Township Committee? MR: There are many late nights so it can be exhausting after working a full day. MLAA: What advice would you give a young adult seeking to become involved in politics? MR: It is worth it to have a positive impact on your community. Start by volunteering; then you can find your passion. MLAA: You served as President of the Lakers Sports Club from 2010-13. What is special about Mountain Lakes Sports to you? MR: Sports, especially team sports, are a wonderful way to build character and have fun. Before I joined the board of the Lakers Sports Club, I was President of the MLBTB Soccer club for several years. Both organizations are committed to helping young athletes succeed and thrive. Owen and I spent countless hours volunteering with the soccer program as coaches, in addition to my serving on the boards. We are thrilled at how much the soccer program has grown for both the boys and girls. OR: Friends, playing on the soccer team (my sophomore year was the first team ever), and some of the great teachers (Mr. Dave, Scanlon, Muir). MLAA: Were you a part of any other sports teams or clubs? OR: Played soccer all four years, played basketball my freshman year. MLAA: After MLHS, you attended the University of Virginia, earning a B.S. in Commerce. How was your experience at UVA? OR: Fantastic. The school was great academically and the range of people I met there was a wonderful experience. I studied marketing and was able to compete in a national advertising competition. I also enjoyed going to most every basketball game as the team was ranked in the top 10 most of the time I was there. MLAA: For eleven years you worked for Tambrands Incorporated in New York and in the United Kingdom. What did your duties entail? OR: I was in various marketing roles that ended up with me being the VP of Marketing for Europe and then the VP of Global Marketing. MLAA: How often were you in the United Kingdom? OR: We lived there for three years and our second son was born there. MLAA: What were some of your responsibilities serving as Vice President of Corporate Equity for Johnson & Johnson? OR: I was responsible for managing the global brand image and the reputation of J&J and before that, I ran the US Baby business for them. The last five years I was there I had the amazing opportunity to lead the team for the Turin and Beijing Olympic Games partnership. MLAA: I understand that you were involved in J&J’s Olympic sponsorship activation. What did these duties include? OR: We built a global activation platform for Turin (2006) and Beijing (2008). The key markets for us were the US, China, and Italy but we ended up doing activation in 50+ countries. My team was responsible for all of the programs for both Games and that included TV Commercials, in-store activation, employee programs, and athlete partnerships. We built a J&J “Expo” building in Beijing that included an exhibit of the Terracotta Warriors. It was an amazing journey. MLAA: Did you travel to China for these duties? OR: I think I made twenty-five trips over 4 ½ years to China. A group of us went over about every six weeks. MLAA: After an impressive career working for several large corporations, you founded Over the Horizon Strategies in 2013. What encouraged you to develop your own business? OR: I realized that I was not as happy working in bigger and more bureaucratic organizations and wanted to focus on working directly with senior clients to solve business challenges. While it is very different, I really have found it to be very fulfilling. MLAA: What activities does Over the Horizon Strategies conduct? OR: We mostly focus on how to tell your story better as a brand or a company. That often includes research to better understand deficiencies, new partnerships and a new narrative that is a better and clearer way to tell people what you do and why they should care. MLAA: How is being a manager of your own business different from working a leadership position at a large corporation? OR: With the small company you are responsible for everything and there is more rolling up your sleeves and less delegation. On the plus side, you get to see the direct impact of your work. On balance it is the right choice at this point in my career. MLAA: You have also been active in your community serving as a Board Member for Saint Clare’s Health System. What did these duties entail? OR: I got involved with the Foundation Board there more than ten years ago and then was added to the full Board. We spent much of our time looking for business partners and ultimately looking for someone to take over the system, which took 2+ years. I still serve on a Governance Board that the State mandated as part of the sale of the system. MLAA: What drew you into community service? OR: I think business people, especially those who work at big companies, are exposed to so many experiences and training that can be of great value to non-profit organizations. I have been involved in volunteer work with organizations for almost 30 years now. As a family, we also try to be thoughtful in how we donate money to the right organizations too and many of those are ones that we do volunteer work with. The Mountain Lakes High School Class of 1965 at a recent reunion. Do you know a Laker who you feel deserves to be recognized for outstanding acheivement? Are they doing extraordinary things that make you proud to know them? Do they exemplify Laker Pride?! If so, nominate them now for our “Laker in the Spotlight” feature! Simply fill out the form below, and an MLAA staff member will reach out to you for all the details.